Do you ever look around and realize you aren’t accomplishing any of your goals? It can’t be just me, right? A year ago, I did just that. I looked around at my life and realized I wasn’t where I thought I’d be right now. On the surface, I had it all. Deep down, though, I was lonely. Unfullfilled. Stressed out. I took a good hard look at my life and realized too much of my time was being taken by things that didn’t serve my big goals. Sure, they were all good things, but that doesn’t mean they were the best things for me. My business was a great business. I’d poured everything into it for years. But, it was exhausting, and I realized there wasn’t room to grow bigger than I was. It would take time and resources I didn’t have. My volunteer schedule was full. And it was rewarding. I spent a lot of time at my daughter’s school helping the staff. We put on events, did things with the kids, and took some busy work away from the teachers. I loved it. But it took a lot of my time. Even when I tried to cut back, I was still on the verge of collapse. I was surrounded by fellow moms that I called friends. The reality was, we were friends because they needed me. I had an epiphany last year, and started to walk away from those things. They were all really good things, but they were taking my time. The time I could be using to pursue my really big goals. I walked away from a business I’d built for years. It was incredibly hard to do, but the moment I made the announcement, a huge weight lifted. I had time. Time to focus on the things I really needed. I also walked away from my volunteer position with the promise that I’d help out when I can, but that I needed less commitment. Once I did that, it was another huge relief. But I realized my “friends” stopped calling. It made me realize that I was dedicating a lot of time to people that only called when they needed me. I couldn’t keep doing that. I was taking away from time I could be chasing dreams, to help people that didn’t really appreciate me. There were a lot of lessons learned last year, but I can tell you that those lessons freed up a lot of space for me. I’m working on my real goals now. Surrounding myself with positivity and inspiration daily. I have plenty of time to focus on the things that are most important to me. My family, friends, blog, and teaching about oils. Helping people that truly appreciate it. 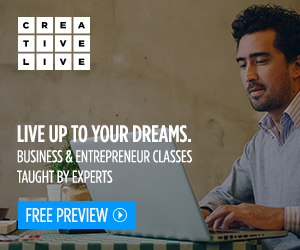 Helping them chase their own dreams and find their own freedom. It all started with walking away from things that weren’t serving my big goals. Walking away freed up time to really explore my opportunities. 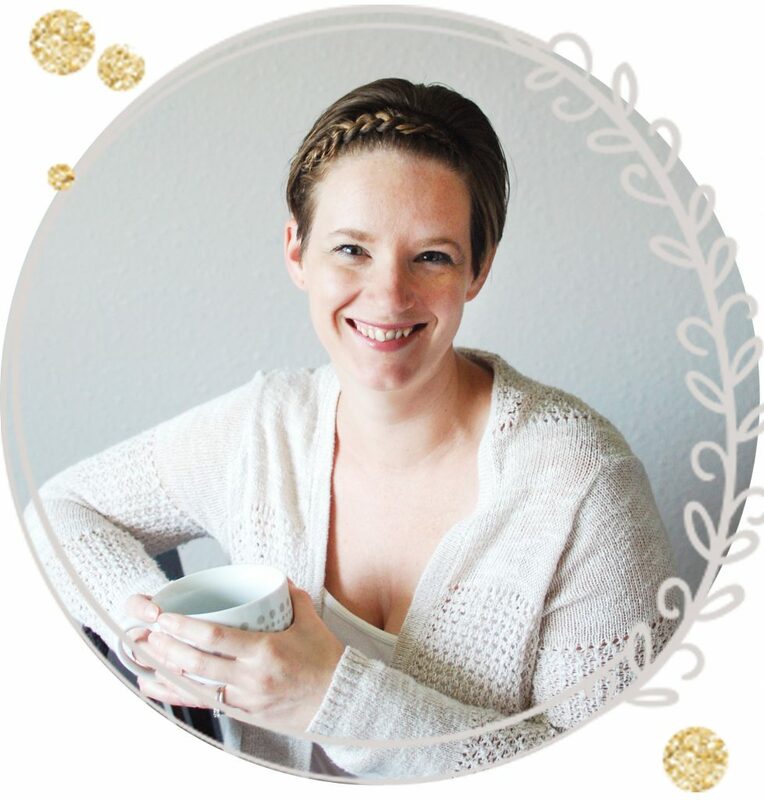 It gave me the freedom to say “yes,” when the opportunity came along to make money teaching about oils. I’ve been able to grow my blog and share more about what truly motivates me. 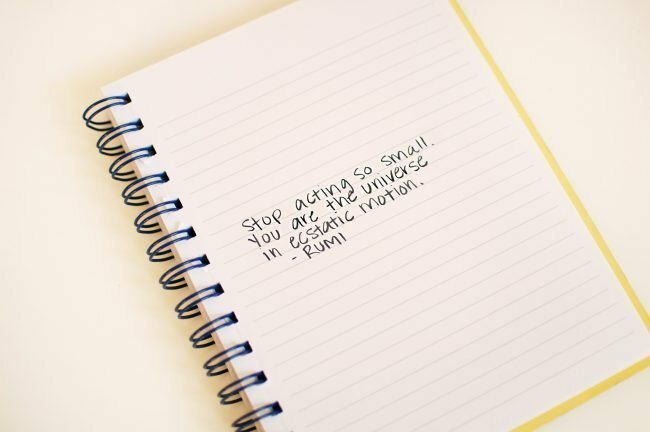 So, if you’ve been hanging on to something that isn’t serving your big goals, hopefully this list of reasons to walk away gives you the motivation you need. 1. You can make room for something better. As my story above shows, walking away can make room for something bigger and better. If you feel stuck, examine your life and what is taking up all of your time. Is it pushing you towards your big goals in life? Or is it just taking up space? 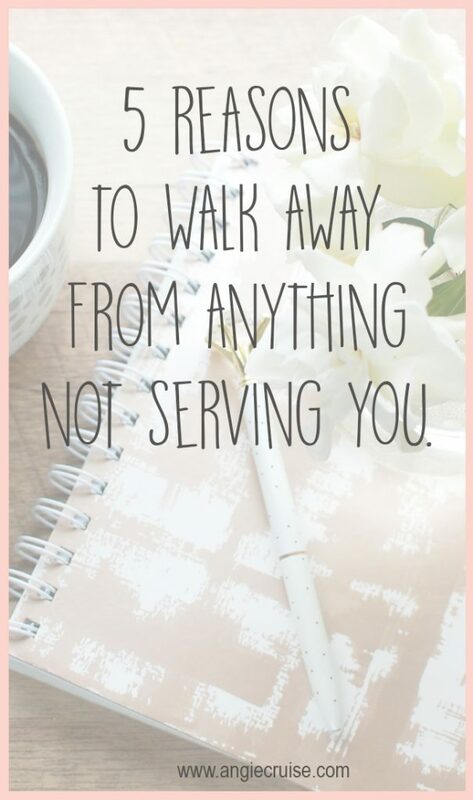 If it’s not serving your big goals, it might be time to walk away. We’re creatures of habit, which can be really comfortable. But, if you’re trying to grow, habit isn’t your best friend. Branching out and trying new things can lead so many places! 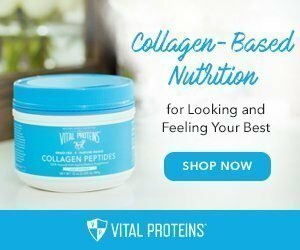 When I said yes to Young Living, it was after years of saying it wasn’t for me. The reality is, it was for me, but I had too much on my plate to see that. 3. Tomorrow isn’t a promise. It’s easy to live like we’re never going to die, but the reality is that we will. It could be when we’re 100, or it could be tomorrow. Time is never a guarantee, and when I realized that, I knew things needed to change. If I were to die tomorrow, I want to die truly living my life and doing the things I love. I want to die knowing I spent as much time with my family and loved ones as possible. I don’t want to die chained to a job that caused misery and kept me from everything I truly wanted. Is what you’re doing right now fulfilling that desire? Take a minute to really consider this. 4. Thinking inside the box is boring. If you want to live your life, truly live your life and chase your dreams, you’ve got to stop thinking inside the box. I used to go through life checking off all the boxes. Graduate high school: check. Go to college: check. Get a “real” job: check. Meet a boy: check. Get married: check. Have babies: check. I did it all right, and I still woke up one day unfulfilled and ready for a change. It’s only when I started dreaming big and really examining my experiences that I truly learned to grow. 5. Because you want to. I mean, isn’t this a good enough reason? If you’ve got something in your life that isn’t helping you reach your goals, what’s stopping you from leaving? 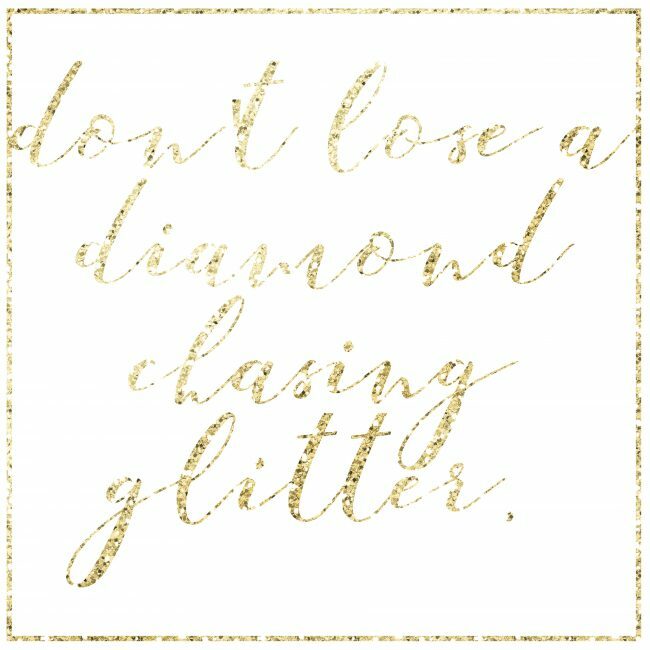 One of my favorite motivational quotes on this topic is “don’t lose a diamond chasing glitter.” It’s the quote that opened my eyes to the fact that I was chasing glitter. Glitter is great, but I know I’d much rather spend my time on something more substantial, and I’m sure you would, too! Don’t spend your days focused on things that aren’t serving you and your big goals. You are worth so much more than that. You deserve to have the time to chase your dreams and follow your heart. If you realize you aren’t doing that, I hope you take some time to examine where your time is spent, and figure out ways to spend it better. We all deserve this freedom to chase our goals.